Well this summer has been such a wonderful break from law school! It’s given me a chance to relax, catch up on some great books, and, more importantly, bake and cook again! One thing I’ve recently made was Angela’s Quinoa Curry recipe. But when I checked the cupboard we were all out of quinoa! Gasp! What’s a girl to do? 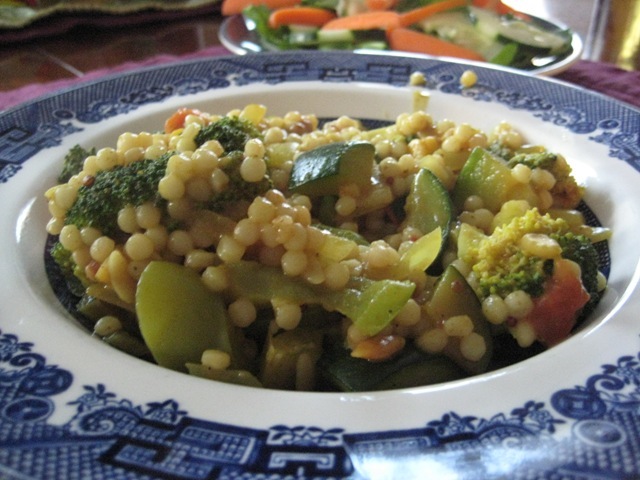 I searched some more and spotted some Israeli Cous Cous I had gotten at Trader Joe’s a while back. 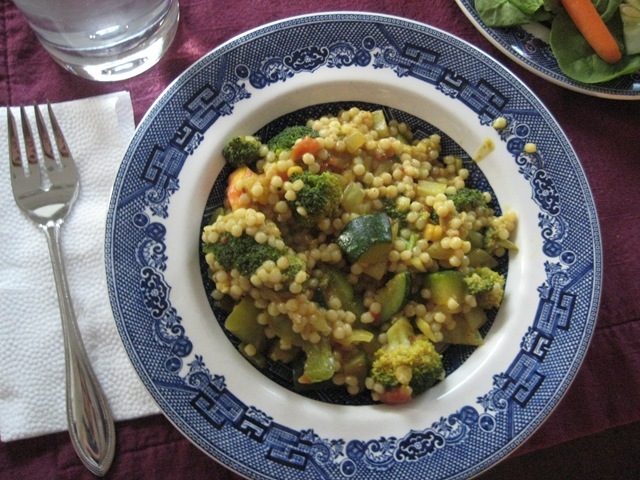 Have you ever had israeli cous cous? So delish. I highly recommend! 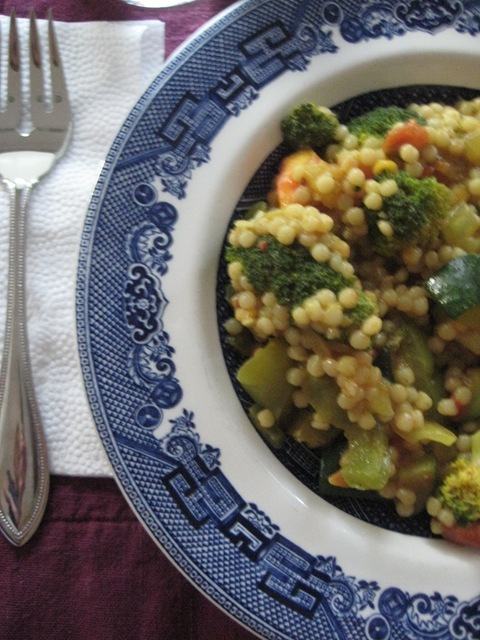 For the veggies in this dish, I used a chopped green bell pepper, broccoli and zucchini. We didn’t use all the coconut curry sauce in this dish so James used the remainder of it to use as a dipping sauce for some wheaty french bread. Oh yea.